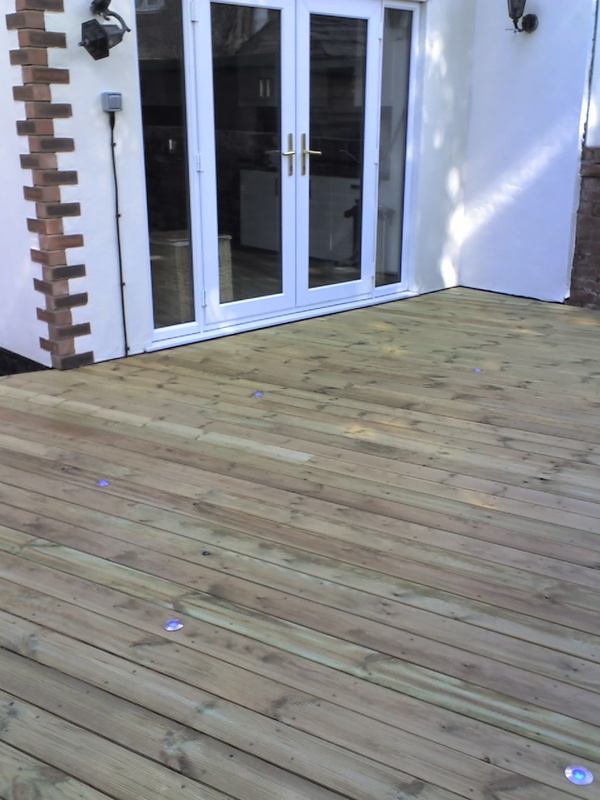 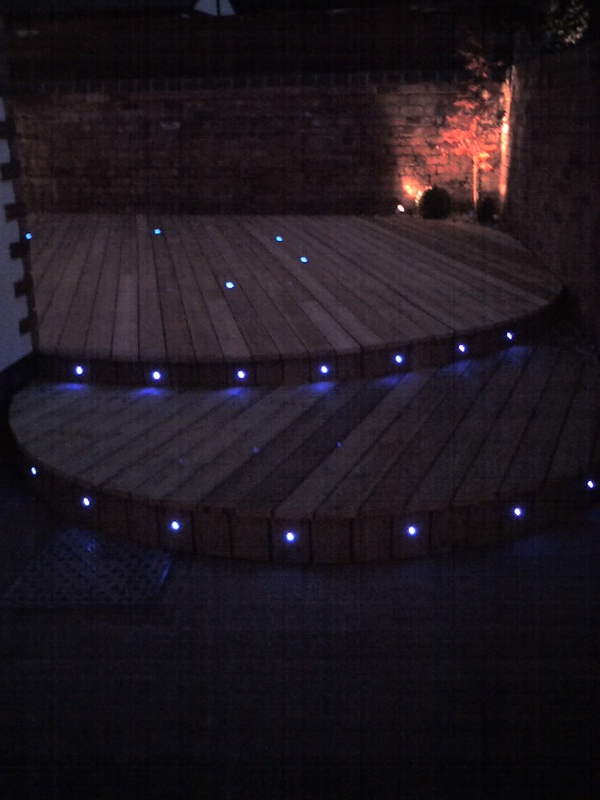 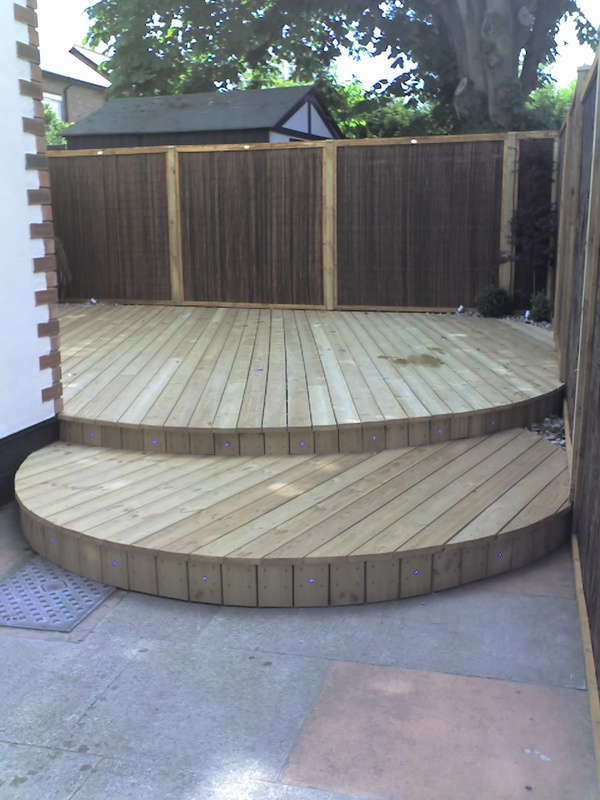 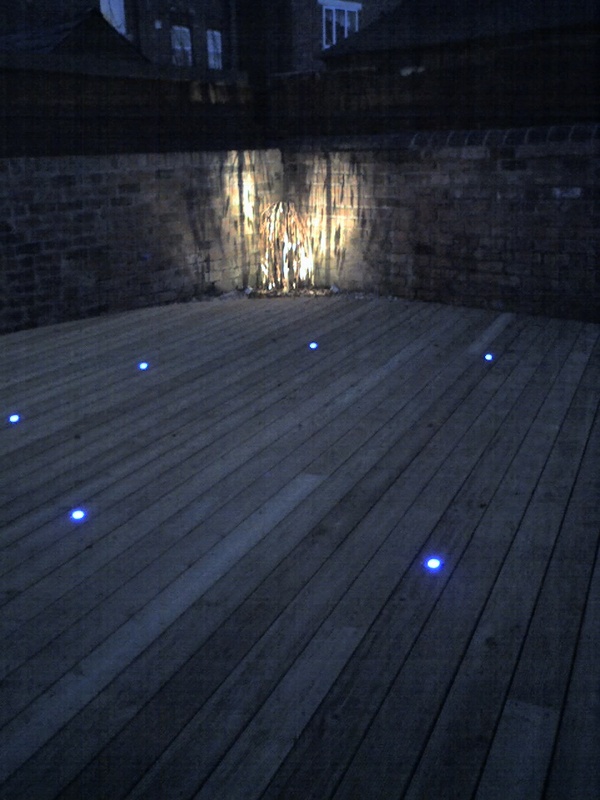 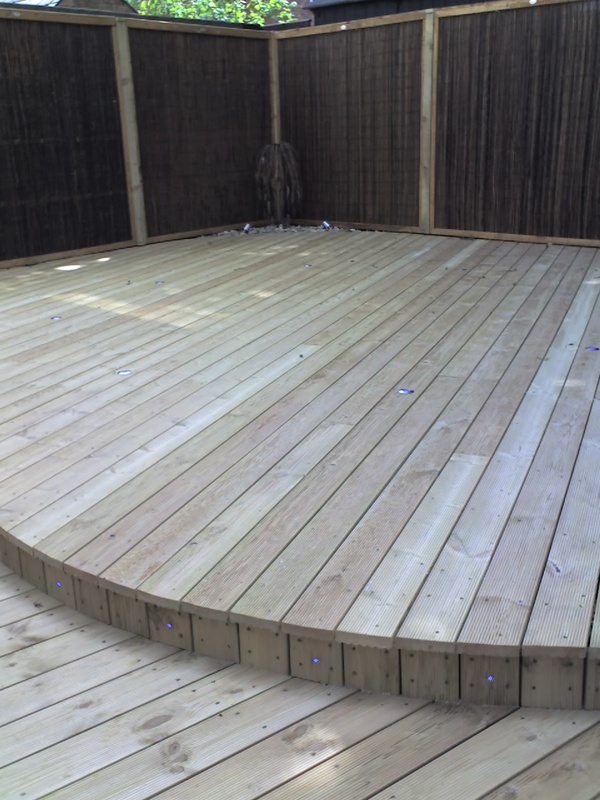 Decking, with round feature step and lighting. 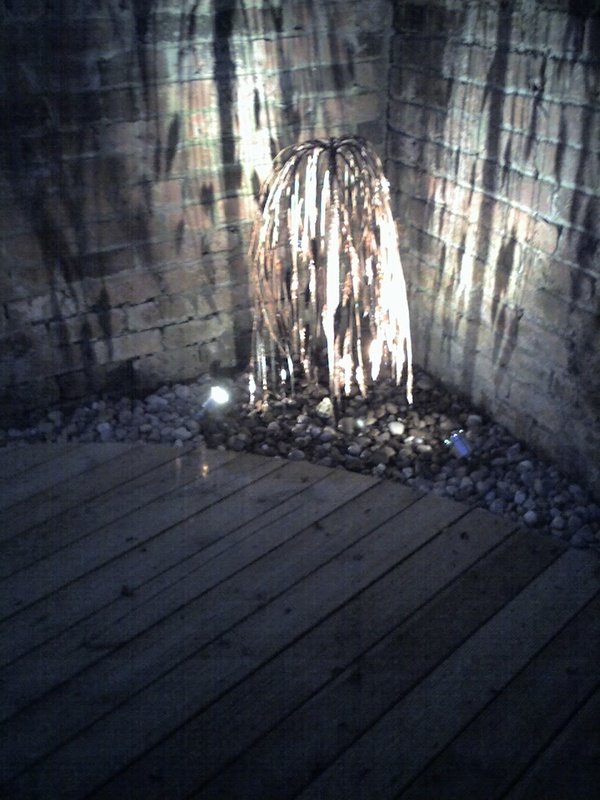 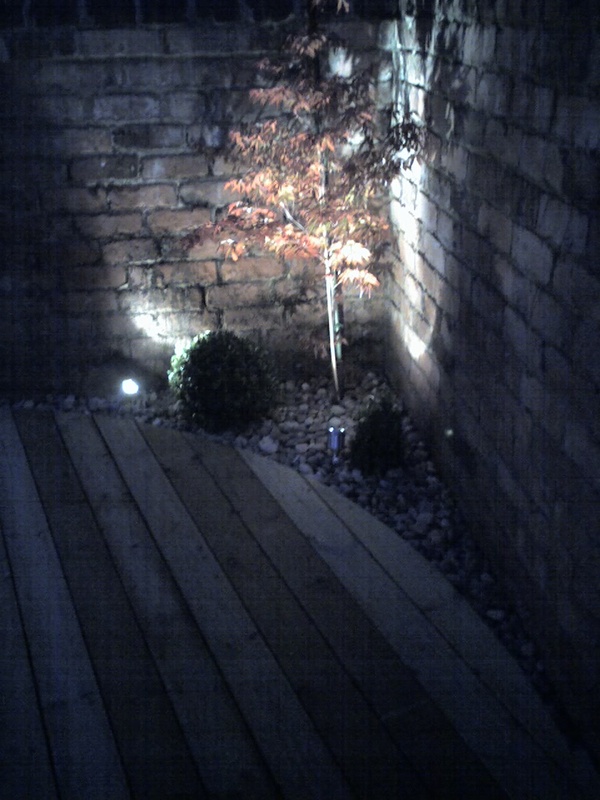 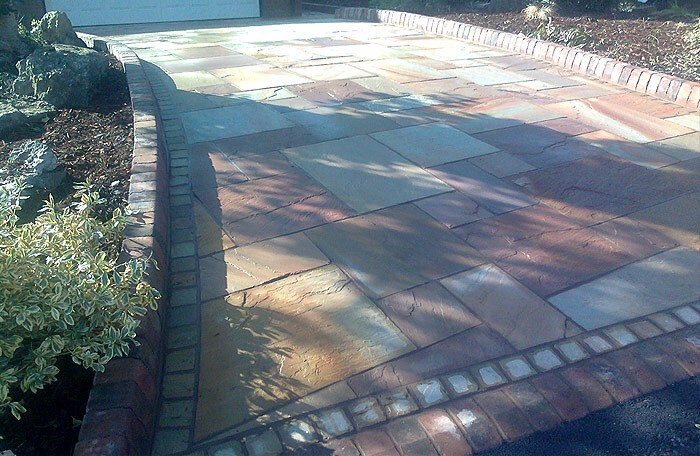 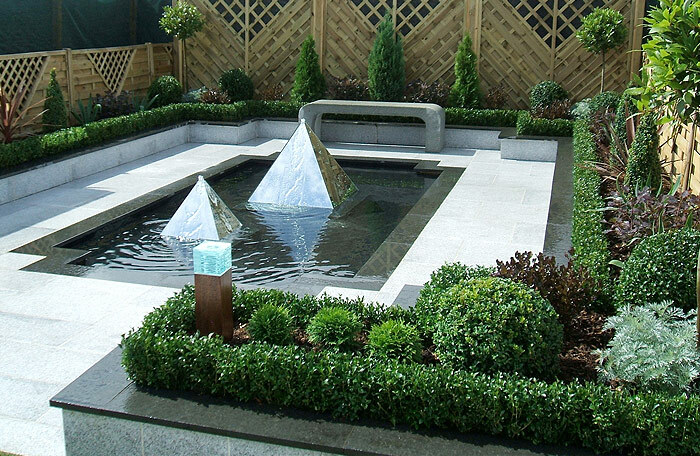 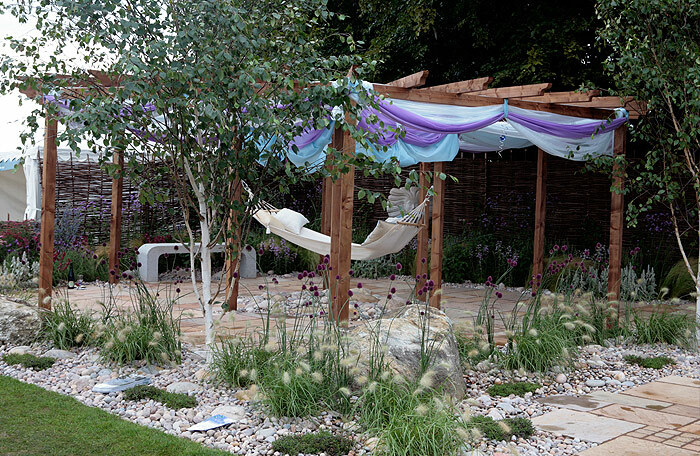 A copper water feature tree in one corner and planting in another gives all year round interest, day and night. 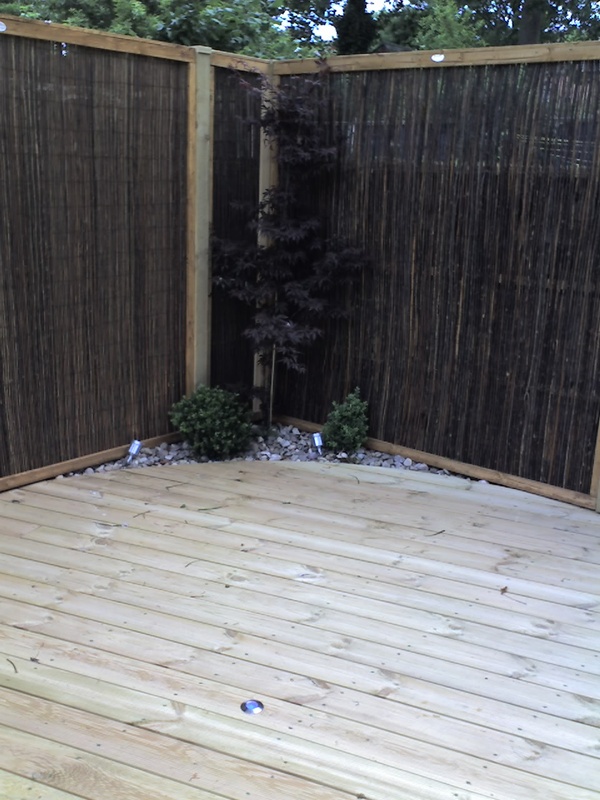 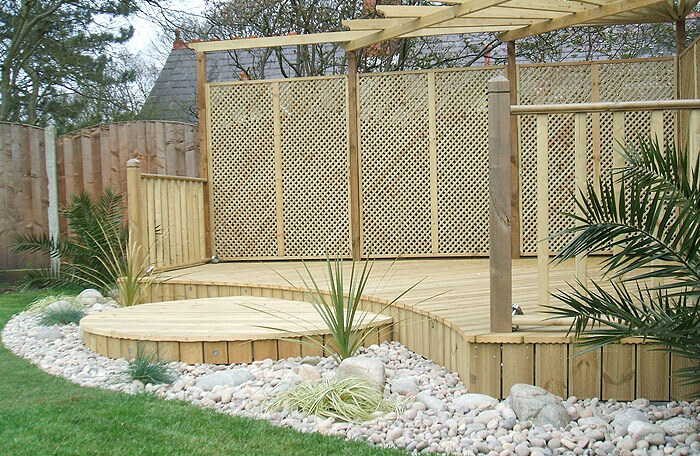 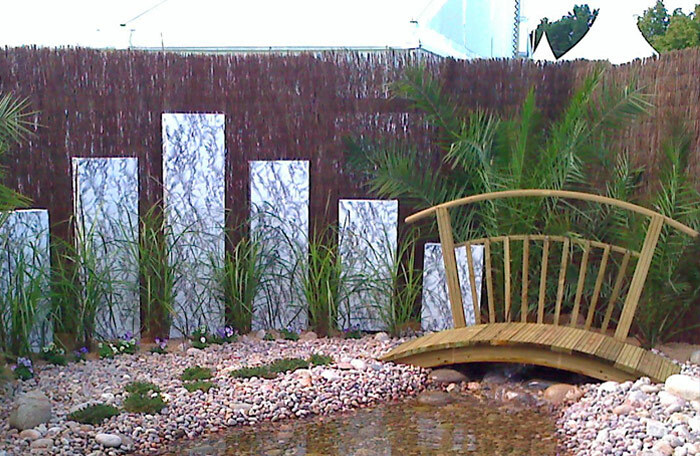 Willow fencing panels disguise an untidy wall.